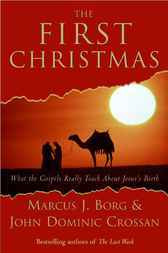 In The First Christmas Marcus J. Borg and John Dominic Crossan—top Jesus scholars and authors of The Last Week—help us see the real Christmas story buried in the familiar Bible accounts. Basing their interpretations on the two nativity narratives in the Gospels of Matthew and Luke, Borg and Crossan focus on the literal story—the inner truth rather than the historical facts—to offer a clear and uplifting message of hope and peace. With The First Christmas readers get a fresh, deep, and new understanding of the nativity story, enabling us to better appreciate the powerful message of the Gospels.